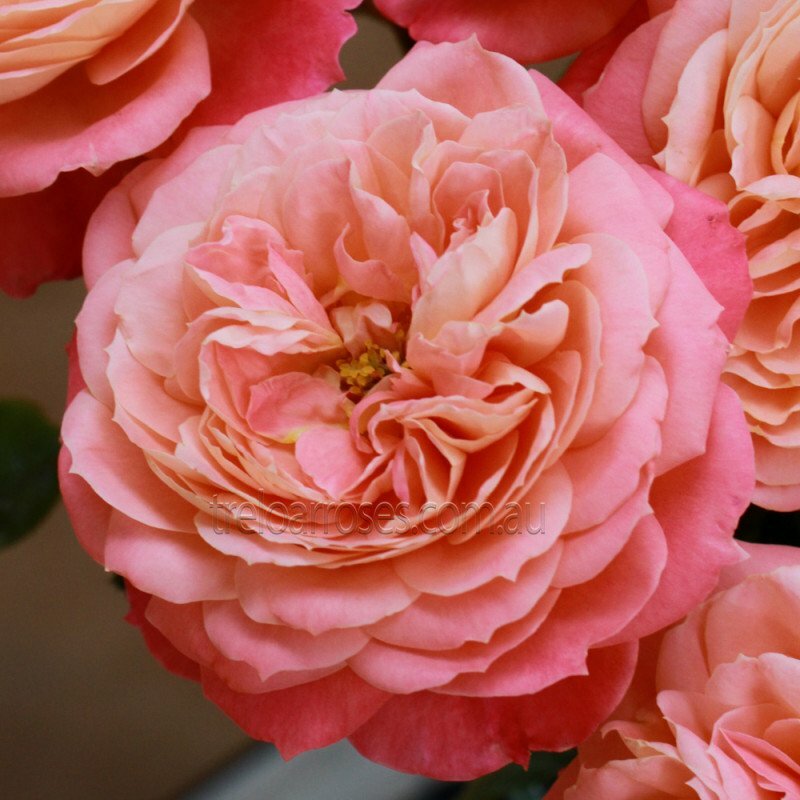 (KORliolow) - This gorgeous salmon-pink floribunda is on an extremely healthy bush with foliage that is highly resistant to blackspot and mildew. The old world style, eye-catching blooms that adorn the bush can be spotted from afar. Erect upright growth to 70cm tall x 50cm wide. 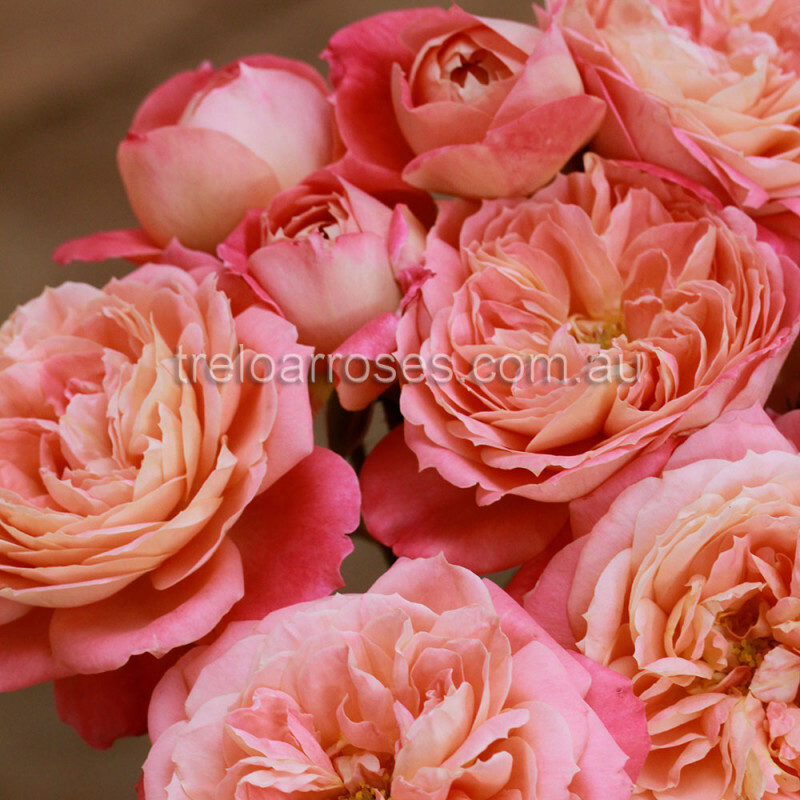 Named by the Renmark Rose Festival Committee to honour their lovely town.